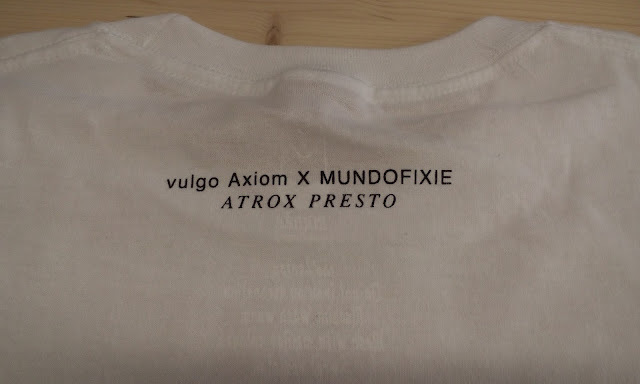 Today we want to bring you something..."fashion"... Our friends from Mundofixie.com has created together with Vulgo Axiom, from Portugal. 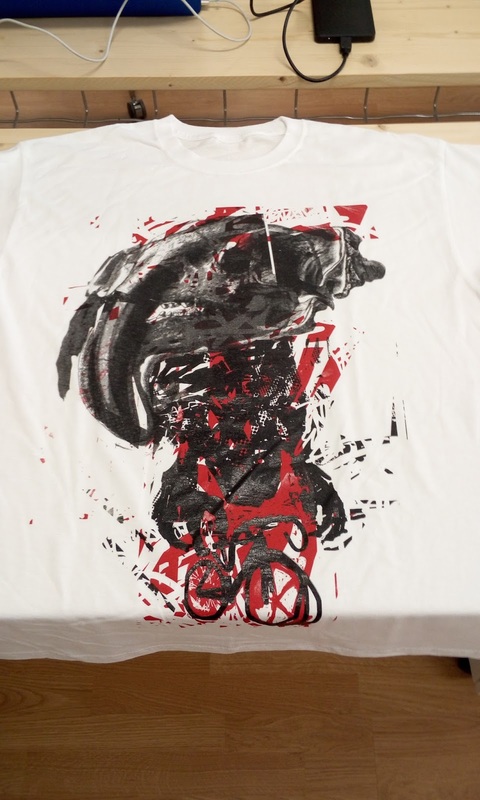 This t-shirt is a limited edition, and, as they said in their site... 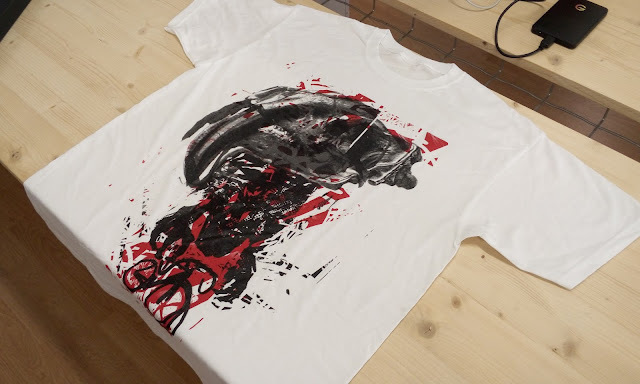 The wearing of this t-shirt will increase your power by 95% OMG! Here you have our review with photos and specifications, enjoy! 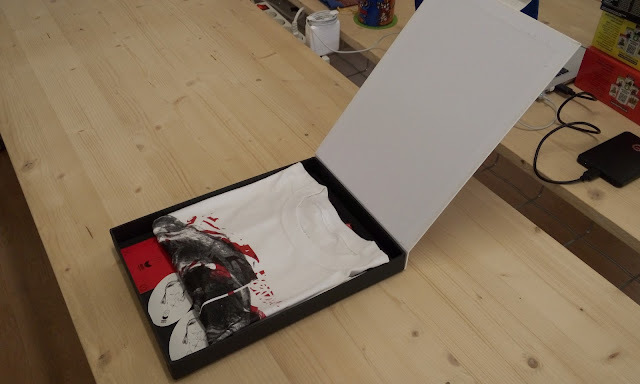 One of the most amazing things when you receive the package is "the packaging"! 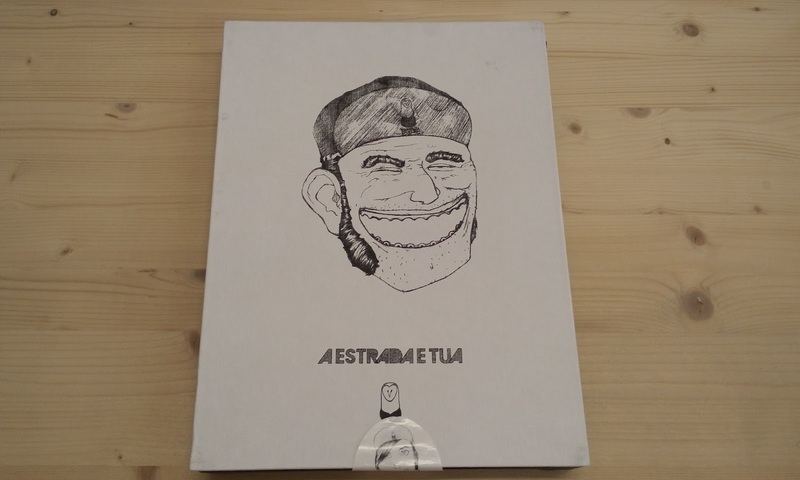 As you can see in the next photos the packaging is really well thought and stylish. 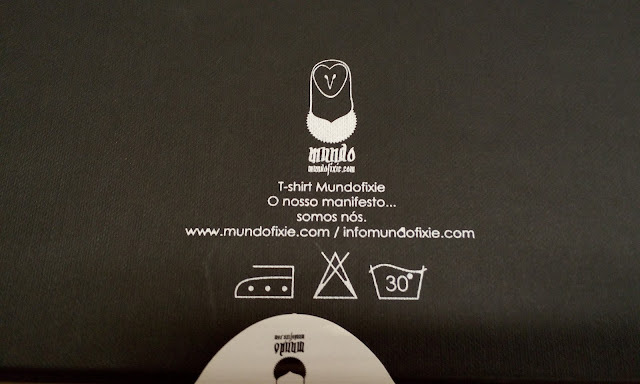 In our package came the t-shirt, size L, 2 decals and the Mundofixie business card. Really nice, size L for me (182 cm and 89kg) is perfect. In their website you can only choose between sizes M or L (for now). As you can see in the next photos, the drawing is front side, and in the back side you can see a little drawn near of the collar with the "Mundofixie vs Vulgo Axiom" phrase. The Mundofixie brand was founded in Almada (Portugal) in 2013 and comes from the taste and long experience of three friends in the area of fixed gear. These three characters come together for a trip that promises a return to the concept of urban cycling by producing custom and independent for each user equipment for bikes combine aesthetic concepts and design, production of high quality equipment and suitable geometry needs of each. Welcome to their world ...... FIXED.